New in Geneva? New to InterNations? Our Newcomers' Events are smaller events specially organised for members who are new to our community. Here you can get to know InterNations, how it works and what it is all about. 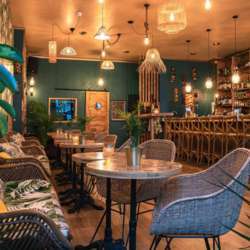 This time, we meet in a specially reserved lounge at Casa Tiki! Please ask staff for the InterNation area. Tapas are available for free!